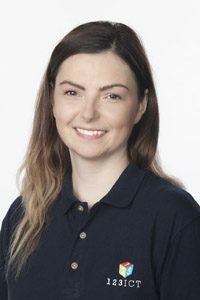 Jo joined 123ICT in December 2016, born in Poland she initially came to England for a visit but ended up staying as she loved it so much. Jo finished University with a teaching degree and joins us from King Alfred’s Academy where she had been working as an IT Technician. In her spare time she enjoys photography and motorbikes.